Tungum is continuing to work with leading manufacturers and build relationships in new markets and as such, has worked hard to secure type approval from the American Bureau of Shipping (ABS) for Tungum tubing. This approval allows us to access the US marine and related facility / products market place. “This new approval enables Tungum to provide products and support to the US marine sector,” explains John Zbihlyj, Operations Director. “we work in very specialised sectors that each have their own stringent quality standards and it’s vital that Tungum is proven to meet them. “Gaining ABS type approval was a rigorous process involving a product design assessment (PDA) which involves a full technical evaluation, followed by a manufacturing assessment (MA) witnessed by ABS representatives. This demonstrates that the product can be consistently manufactured according to the PDA”. 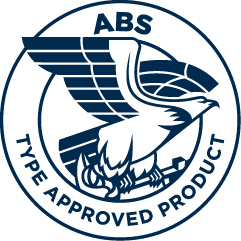 Our Type approval can be found by searching Tungum on the ABS Type Approval database here, simply type ‘Tungum’ in the ‘Key Word or Product’ search box.